Aesthetically Engineered: Designed with air cushion technology that disperses impact force. [Military Grade Drop Test Certified]. This case is compatible with Apple iPhone X / XS. Zizo ION case is compatible with the Zizo Wireless Qi Charger. Lightweight, Transparent, and Low Profile. Introducing the Zizo [ION Series]. This iPhone XS case is the perfect platform for expressing your style. The color-rich bumper and enhanced grip around the bumper of this case provides a smooth and anti-slip grip. Minimalistically engineered to serve a thin, low profile while fully enclosing your phone. Reliable Protection: The Zizo [ION Series] meets Military Grade 810.1-G Compliancy. 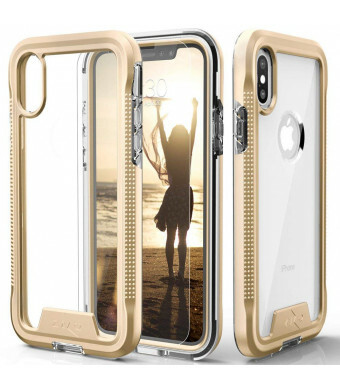 It has surpassed through rigorous testing to ensure the protection of your iPhone XS / X. A Zizo 0.33mm with 100% Clarity and 9H Hardness iPhone XS tempered glass screen protector is included with every purchase. We believe a phone case should also protect your phone screen. We also made it available in different colors to express your style exactly. The Zizo engineering has proven time and time again with each new line of products. We make it our priority to listen to and meet customer needs and are involved in every step of production - from design to functionality. Zizo is a second-generation family company that implements Old School traditions in a New School company. Become a part of the Zizo Family today. 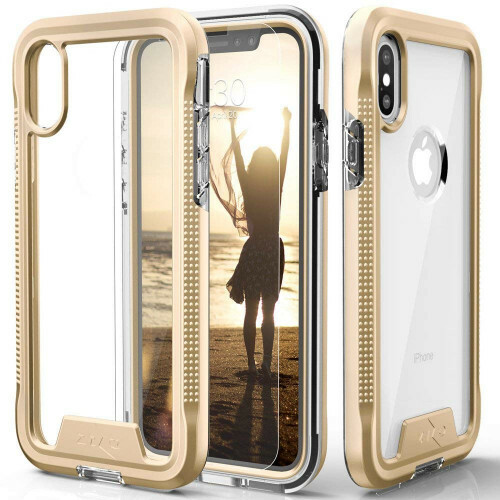 This case is compatible with the iPhone XS (2018) and iPhone X (2017).